Last November I presented a clinic at the Louisiana Music Educators Association Conference in Baton Rouge on the topic of horn maintenance. I know, not very original, but this was a clinic I thought would be informative and helpful to band directors in the state. Having given similar presentations in other places, I knew one of the biggest topics would be restringing rotary valves. What seems a simple task to most experienced horn players can turn into a nightmare for a harried band director, especially right before, or in the middle of, a big performance. One piece of information I always like to have ready for band directors is suggestions on what types of string to use. I’ve used several over the years, and I’m always on the lookout for others to try – it is very interesting the effect that different makes and types of string can have on valve action. Having several recommendations for students and directors is useful, because one kind might not always be easily purchased in a given area, or feasible for the student or teacher’s budget. 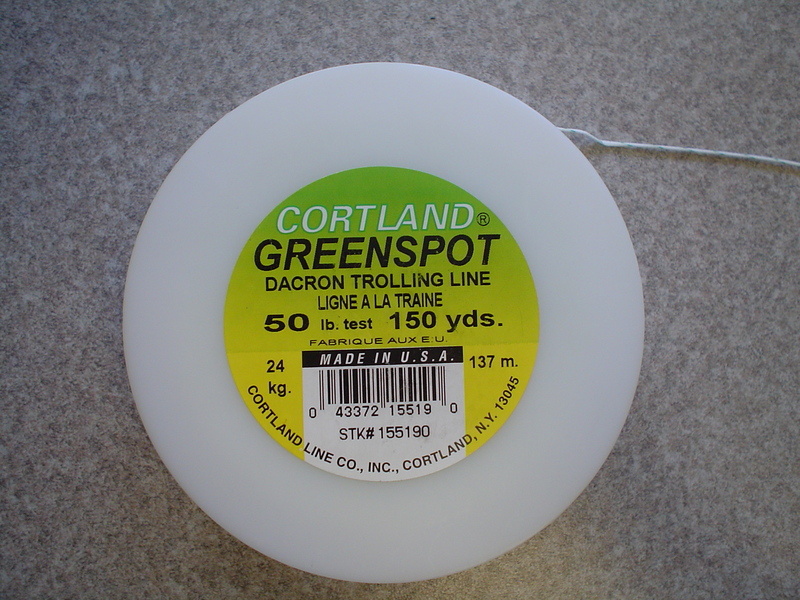 One of the most economical is Cortland’s “Greenspot” Dacron trolling line (below). This brand, or one similar, is usually available from most sporting goods suppliers. It is light and strong, and I like to use 50lb test or higher. 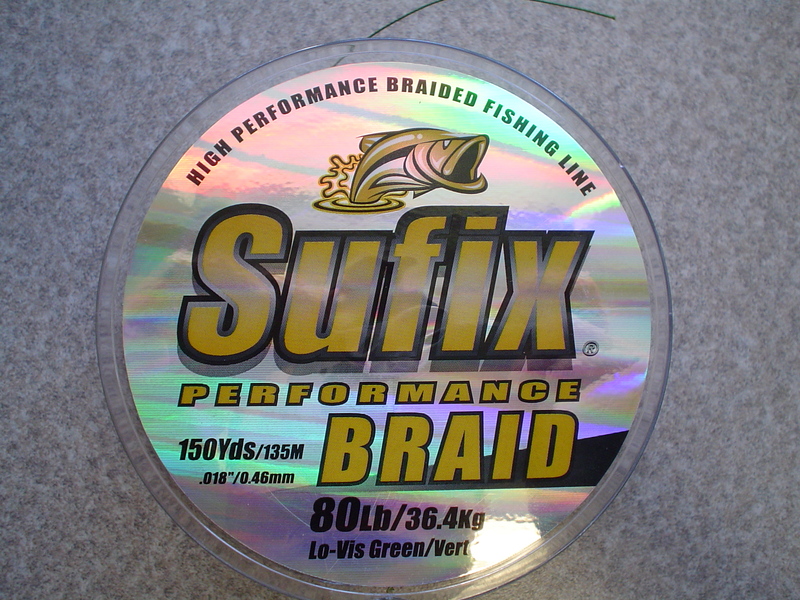 Another great string is Sufix Performance Braid (below). It is a little more expensive than the Cortland, but is very fast and strong (mine is 80lb test). Most players notice a definite increase in valve speed with this string. It also does not fray easily when cut, so it is a cinch to thread. One drawback to this string is that it is fairly thin, so you have to be careful to tie several knots to make sure that it doesn’t pull through the holes in the valve lever arm. My current favorite, and one that I will probably stick with for awhile, is the string provided with Meinlschmidt valves. This string combines the qualities of the other two already mentioned, and works great on most horns. It can be purchased from de Haro Horns in 1 meter increments. 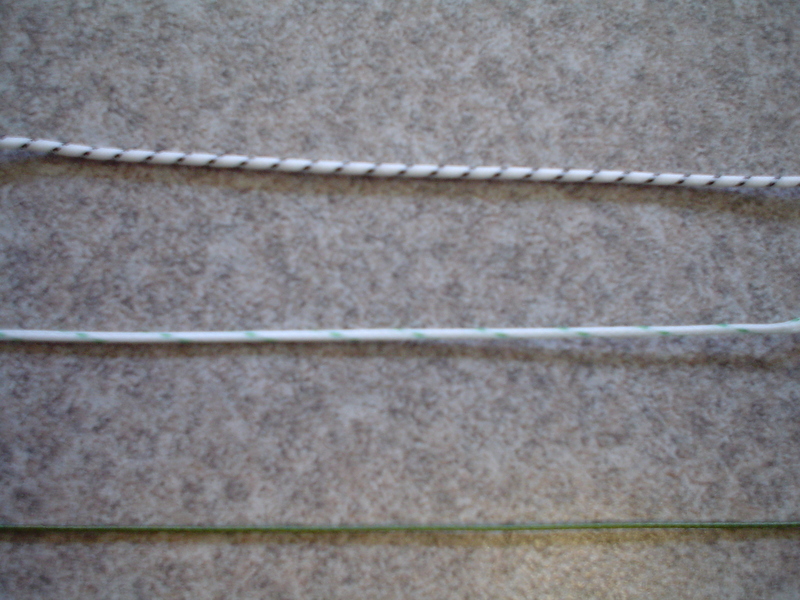 In the picture below you can see that the Meinlschmidt string (on top) is noticeably thicker than the Cortland (middle) and the Sufix (bottom). Usually the thicker the string the slower the action, but I noticed very little difference in speed between the Sufix and the Meinlschmidt, plus the Meinlschmidt is probably stronger than the others.